Do you want to be part of a creative, innovative and progressive Business Area in DNV GL - Digital Solutions? Do you want to influence the digital transformation in DNV GL? We are looking for a UX/UI Designer with experience, passion and skills to help our company on its digital journey. Digital Solutions consists of approximately 1000 digital experts globally, developing and selling digital services and solutions, with the goal to optimize the expertise and complement the other Business Areas. As a part of this strategy Digital Solutions has recently launched Digital Technology Centre as a central and key player in giving support to the ongoing digital transformation of DNV GL. You will be part of Digital Technology Centre (DTC) and in particular the “Innovation and Solution Factory”. The team is responsible for establishing and providing strong competence within innovation frameworks, user experience design, agile methods, technology governance and software architecture for web/cloud-based solutions. We want to ensure that users of our services get a great user experience and therefore need to strengthen our team with UX/UI expertise to streamline the innovation process from ideas through minimum viable products towards fully operational solutions. You will be working on concepts, design and user experience for products developed by the other DNV GL Business Areas and Digital Solutions. Develop further the existing design framework, method toolbox and style guides. The ideal candidate will have an eye for an easy-to-use design and have skills to translate customer requirements into user friendly and intuitive interfaces. Data is the raw material of the 21st century. It is the foundation and driver of the digital transformation and forms the basis of value creation. 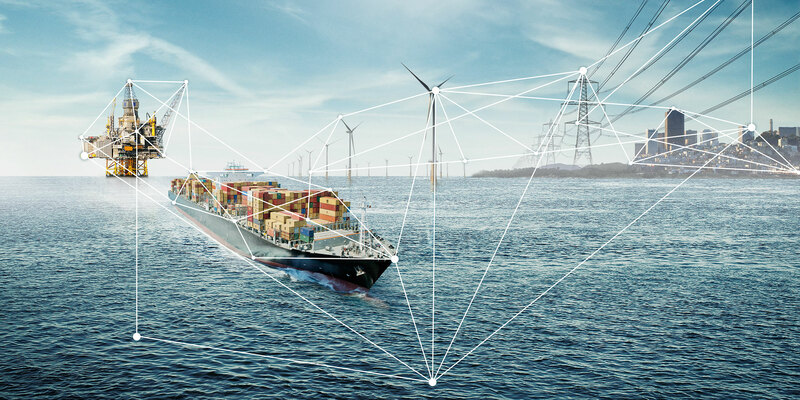 To accelerate our growth and development of new offerings to existing and new customers, we are consolidating our digital assets and resources in our new Digital Solutions organization,” Remi Eriksen, Group President and CEO of DNV GL. We are setting up this new Business Area to further enrich and enhance DNV GL’s offerings to our customers, and create a larger impact and competitive advantage for our company. The Digital Solutions organization will come from, and build on, different parts of our existing organization, and will consist of approximately 1000 digital experts, to leverage the full potential of the internet of things. The organization will optimize this expertise to meet the challenges of data quality and security, with our newly launched platform Veracity as the basis. Digital Solutions will have a strong external focus, and our services will complement what the other Business Areas are doing towards our various markets. We will have a close dialogue with each of the other Business Areas to identify where Digital Solutions shall take lead in the market and open doors for other service offerings – and where we can benefit from the relations and positions we have in other Business Areas. Norconsult - Vil du bli vår nye IKT-rådgiver?